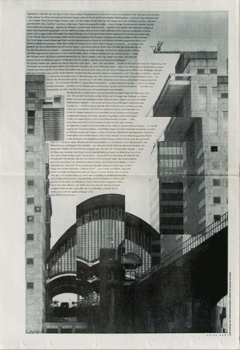 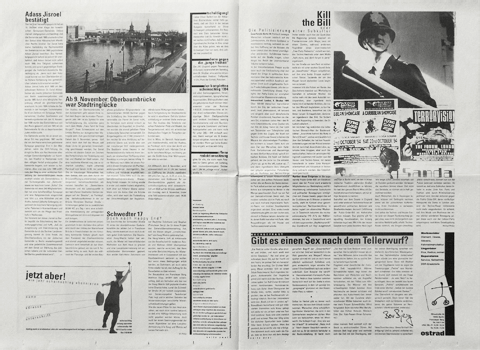 Layout and production of a bi-monthly newspaper on city (re-)development in central East Berlin, 1993–1995. 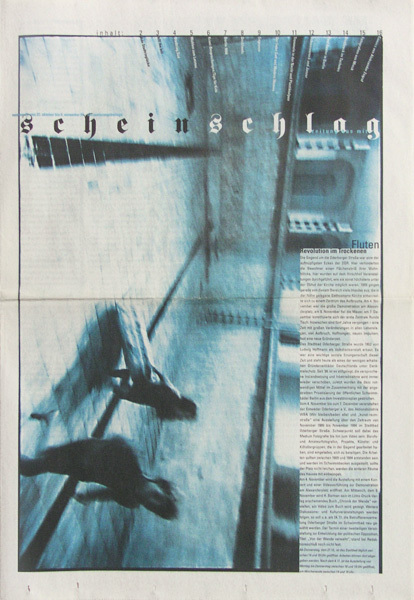 The initial graphic concept was by cyan, Berlin; co-layouters, among others: Stefan Stefanescu, Andreas Koch, Sebastian Fessel. 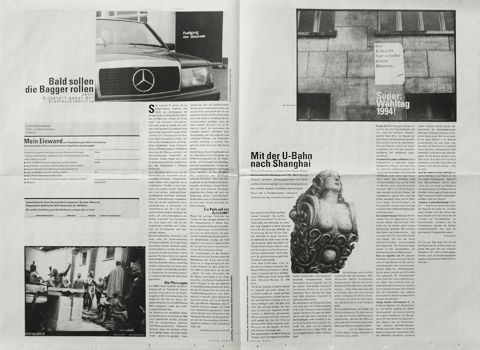 16–24 pages, 30,5 × 45cm, Newsprint, black and varying spot colours. 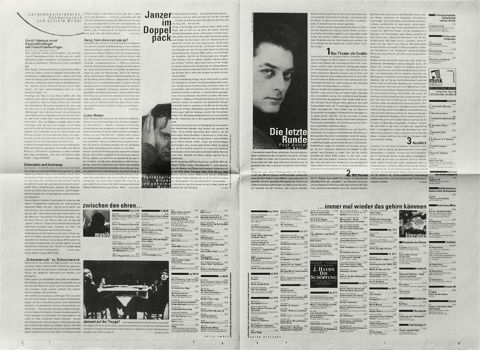 Published by scheinschlag | Verein zur Begleitung öffentlicher Diskussion in den Innenstadtbezirken e.V., Berlin.